If you're looking for a comfortable and versatile self-inflating sleeping mat, then look no further than the Therm-a-Rest Trail Lite! 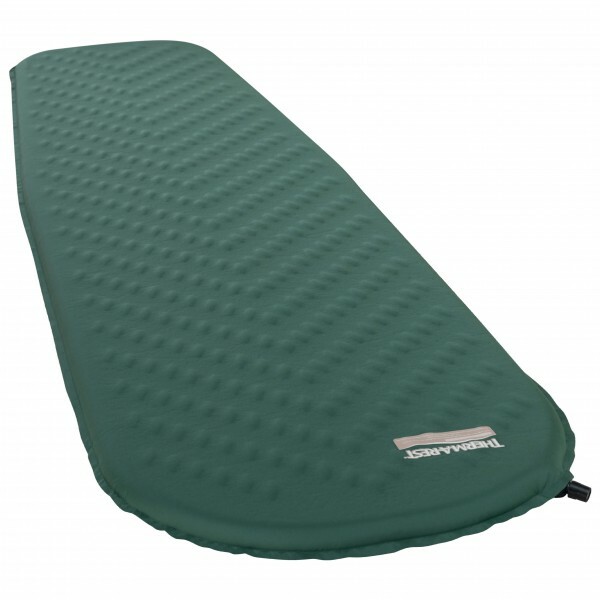 This mat offers an excellent combination of comfort and warmth. The outer is slip resistant and very robust - perfect for frequent use in various conditions and an overall long lifespan. The foam core is just as robust and durable as the outer. Plus, when you open the valve, the foam will self-inflate. That way the mat will be filled up with air and ready to go in no time at all! Plus, it's got a relatively small pack size and low weight to boot! What else could you possibly want?